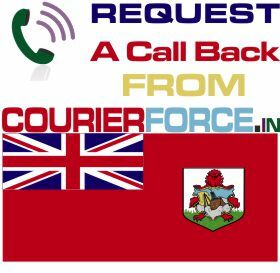 Go nowhere for parcel delivery to Bermuda for Courier Force provides all that you need for sending your parcel to Bermuda swiftly. Bermuda is a British territory in the north Atlantic ocean. It is at the northernmost side of the much talked about Bermuda triangle where a number of surface vessels and ships have disappeared in unexplainable conditions. Even when it seems that Shipping to Bermuda will be difficult because of the suspected danger and risk. However with Courier Force you don’t need to worry at all. The cost of sending a courier to Bermuda starts from Rs 1550 for a 1kg packet. As the weight of your parcel increases the total cost decreases. So now its cheap enough to stay in touch with near and dear ones by sending them gifts and packages. You don’t have to research on different websites to get the lowest price for your package to Bermuda. We have done the hard work for you by collecting rates from the cheapest quality couriers. We offer services to single customers as well as companies and almost all our customers are satisfied and happy with the services proviced by us. So call us now and book your delivery to Bermuda. 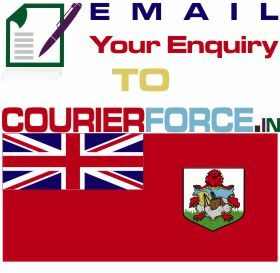 Prices below are door to door courier rates to Bermuda from Mumbai. These charges are cheapest in India for sending courier to Bermuda from India. This is by a courier company which is the best in industry for parcel services to Bermuda. 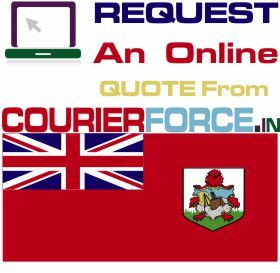 Again, Courier Force is one of the very few companies who have their own network for distributing parcel in Bermuda. It will take anywhere between 3 and 6 working days to deliver your parcel to Bermuda from India. We will be simply collecting the parcel from your business or residence in India and delivering it to your destination address in Bermuda. Duties, taxes and customs charges if any (in Bermuda) will be additional.